St. Martin's Griffin, 9780312141370, 304pp. Originally published in 1960, Summerhill became an instant bestseller and a classic volume of education for an entire generation. 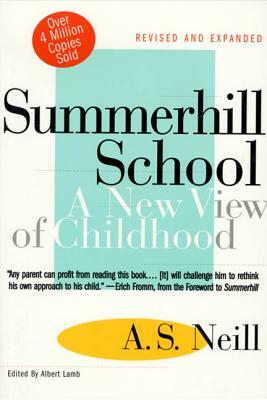 Now, this thoroughly expanded and revised version of the original Summerhill reinstates the revolutionary "free school" traditions begun by Summerhill's founder A.S. Neill. A. S. Neill was born in 1883 in Forfar, Scotland. In addition to establishing the Summerhill School, Neill lectured widely and published over twenty books. He died in 1973. His daughter, Zoë Readhead, now serves as the headmistress of Summerhill. Albert Lamb is a cartoonist, writer, and musician living in England.